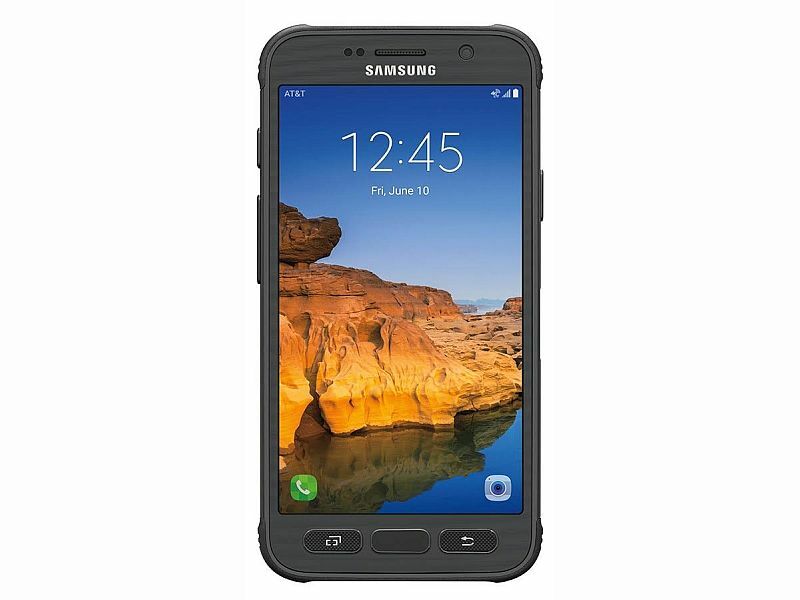 Samsung Electronics America and AT&T in collaboration have unveiled the new Galaxy S7 Active. The smartphone will go on sale exclusively at AT&T starting Friday. The Samsung Galaxy S7 Active will be available via AT&T online store as well as the AT&T stores in Sandy Gold, Titanium Grey, and Camo Green colours. It will be available at $26.50 for a 30 months period or $33.13 a month for 24 months. When translated the Galaxy S7 Active is priced at $799 (roughly Rs. 53,000) upfront. Notably, this is the fourth Active model from Samsung and AT&T. Earlier models include Samsung Galaxy S4 Active, Samsung Galaxy S5 Active, and Samsung Galaxy S6 Active. The biggest highlight of the new Active model is that it is shatter resistant for drops from up to 5 feet or less on a flat surface. The smartphone features IP68 dust and water resistance, and can survive immersion in water for up to 5 feet for up to 30 minutes. The company is also offering limited period offers on the purchase of the Galaxy S7 Active such as a free Samsung Gear S2 on purchase of the Galaxy S7 Active on AT&T. Consumers can also get the Samsung Galaxy Tab E for $0.99 on a 2-year agreement. For specifications, the Samsung Galaxy S7 Active features a 5.1-inch Super Amoled QHD display and is powered by a Qualcomm Snapdragon 820 processor paired with 4GB of RAM and 32GB inbuilt storage. The smartphone supports expandable storage via microSD card (up to 200GB). The handset is backed by a 4000mAh battery which is claimed to deliver up to 32 hours of talk time, and it can fully charge in less than two hours. The Samsung Galaxy S7 Active sports a 12-megapixel rear camera with Dual Pixel technology and a 5-megapixel front camera. The handset packs a fingerprint scanner. The Galaxy S7 Active also comes with Knox mobile security platform which Samsung says has been implemented at the chip level.